Soni Pabla was 30 years, 3 months	& 15 days old age. Soni Pabla was born on 29-06-1976 in Bilaspur, Moga in the state of Punjab, India. He was an Indian Musician, Singer & Songwriter who sang Punjabi songs. 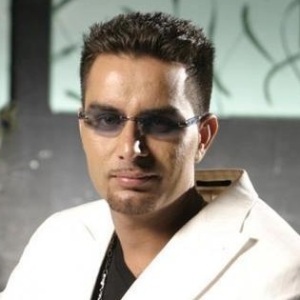 Soni Pabla is a famous name in the Punjabi Industry for the beautiful music that he created out of his magical voice. His name is Tejpal Singh Pabla and it was not in the early days that he realized his singing creativities. His early life was a tough nut to crack. After moving to Canada in 1994, he worked in a factory in Canada where he injured his finger and was no longer eligible to work in the factory anymore. So, he bought a truck and started driving only to move into the musical world where he created wonders. Initially, he was interested in just jotting down songs and never started taking his singing skills seriously. Only later when he learned chords and scales under the renowned Rajinder Singh Raj and then Mahesh Malwani. When he was ready we joined hands with Planet Records in Canada and debuted with his record-breaking album Heeray Heeray in 2002. He later released another album Gal dil di along with Sukshinder Shinda. The songs from this album had some great effects on the public with songs like "Nishani" and "Gal dil di". He was working on few more albums and had aligned with many more producers for his song compilation before the mishap happened. It was during a show in Brampton, Canada. During his performance, he felt a little nauseous and went backstage to have some water where he collapsed and was later declared dead by the hospital folks. He was under drug intakes but the cause of death is said to be Heart Attack. Soni Pabla died on 14-10-2006 in Brampton, Canada. He died on the way while he was taking to the hospital. The cause of his death was heart attack.